Millets toor dal dosas are simple dosas made with millets, toor dal, red chillies and a small piece of tamarind. 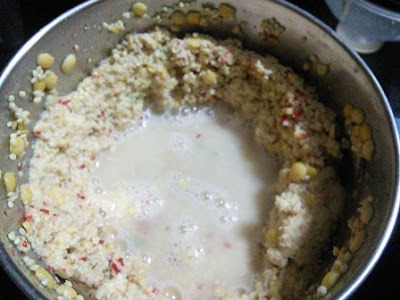 It is an easy recipe and can be made with any millets as you wish. In this dish I have used proso kodo millets. This dosa makes a great dinner without any much effort. The secret to this crispy dosas is in the grinding the batter in correct consistency. After grinding the batter, I have added finely chopped onions and curry leaves. These dosas require no fermenting, so simply add the onions and any other chopped vegetables or greens and start preparing the crispy dosas. You can serve this dosa with any chutney or sambar. 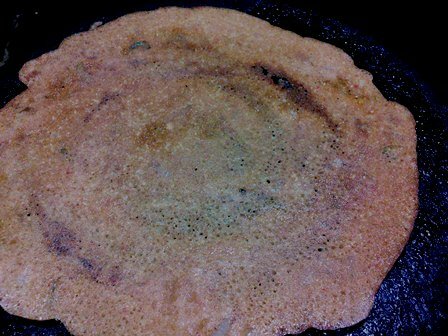 The combination of millets with toor dal is perfect for dosas plus this recipe is easy too. Millets toor dal dosas are simple dosas made with millets, toor dal, red chillies and a small piece of tamarind. 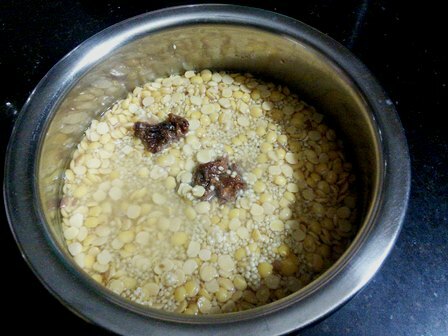 Soak the millets and toor dal for 2 hours. 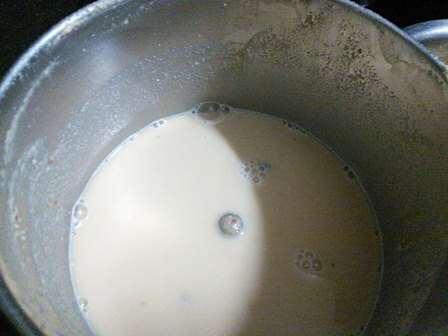 After 2 hours, drain the water and add it to the mixer jar. Add the green chillies, red chillies and the asafoetida powder. 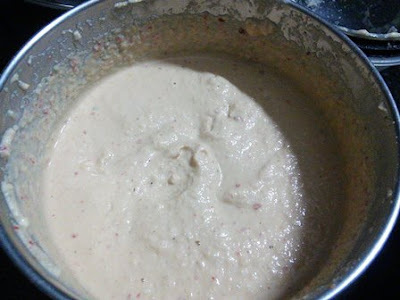 Grind the batter coarsely and transfer it to the vessel. Pour 1 to 1.5 cups of water to the mixer jar and rinse them well. Add this water to the ground batter. Mix them well and add the required salt. 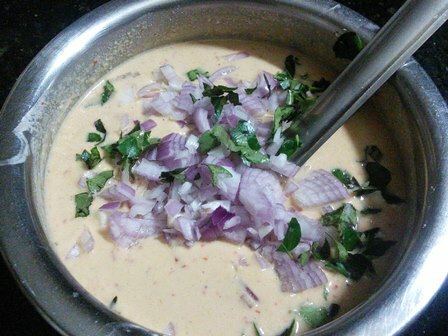 Add the chopped onions and curry leaves to the batter and stir until combined. Heat the dosa pan over medium heat. 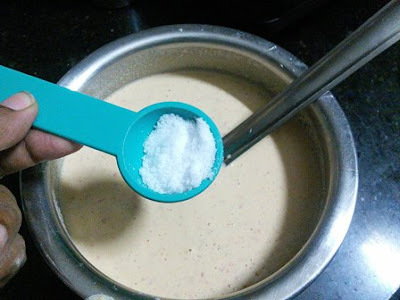 Pour the batter with the ladle into the pan in a circular motion. 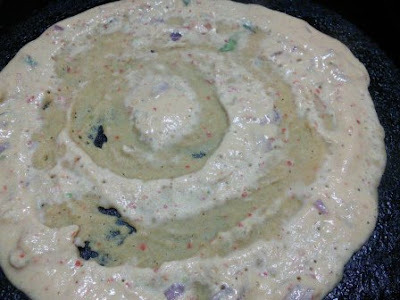 When the dosa starts bubbling, swirl oil around the dosa and cook for about 2 to 3 minutes flip and cook for another 2 minutes. Serve it immediately with your favourite chutney. 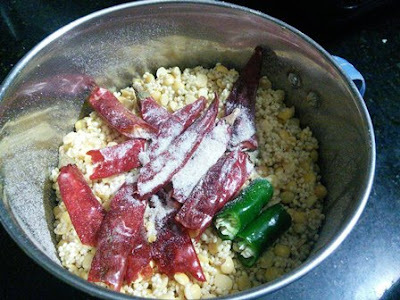 Measure and add the millets and toor dal in a vessel. Wash them and add 2 to 3 cups of water. Add the tamarind and soak them for 2 hours. 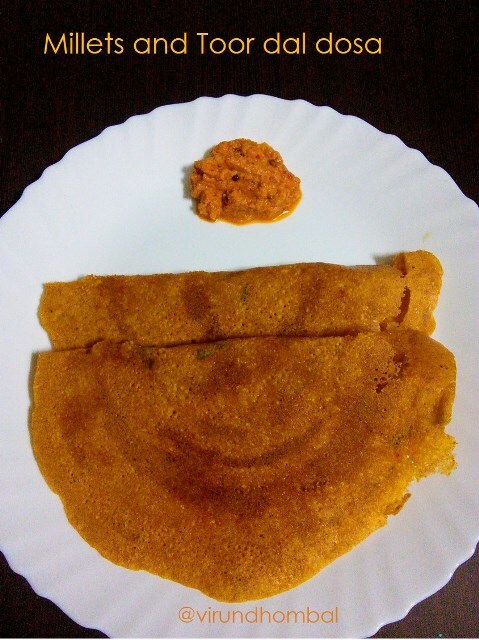 I have used proso kodo millet for this dosa. You can use barnyard millet or little millet or foxtail millet. Grind them by adding water in regular intervals. Grind the batter coarsely. Transfer it to the vessel. Pour 1 to 1.5 cups of water to the mixer jar and rinse them well. Add this water to the ground batter. Mix them well and add the required salt. Heat the dosa pan over medium heat. Pour the batter with the ladle into the pan in a circular motion. 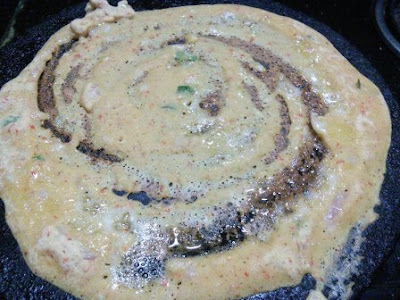 When the dosa starts bubbling,swirl oil around the dosa and cook for about 2 to 3 minutes. Flip and cook for another 2 minutes. When you pour the batter on to the pan, spread it around to make sure it is not too thick. By doing so you can get a crispy dosa.